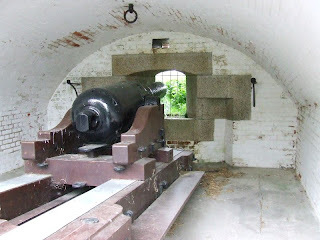 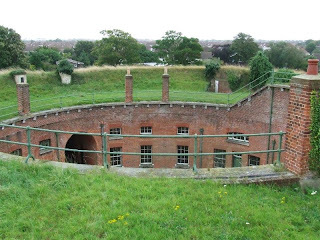 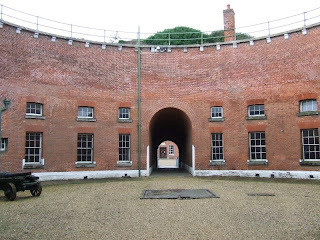 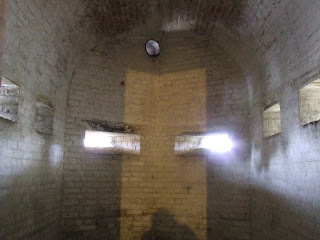 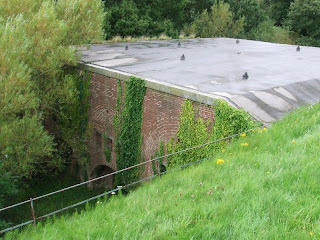 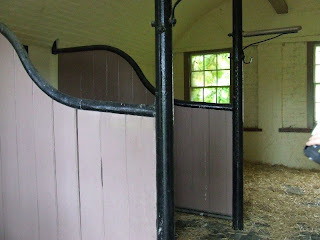 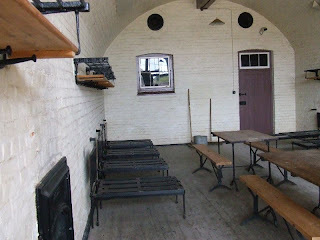 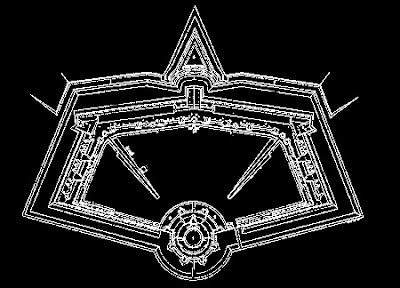 Fort Brockhurst formed part of the 'Gosport Advanced Line', along with forts Elson, Rowner, Grange and Gomer, positioned to protect Gosport from the West. 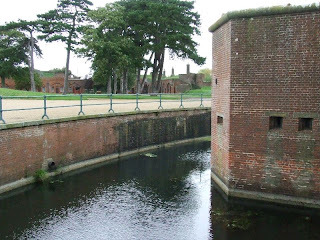 It was completed in 1862 and takes the form of a polygonal structure, with a moat protected by a caponnier, and an adjoining fortified circular keep. 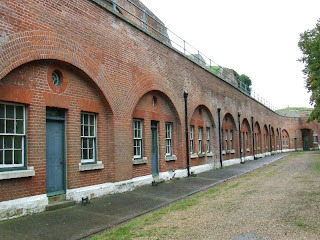 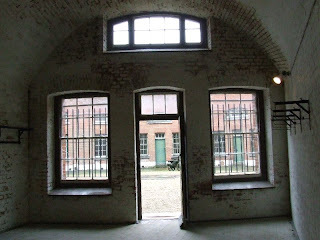 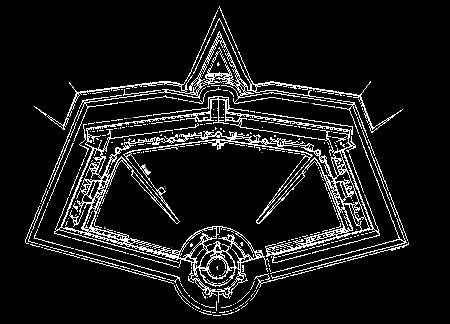 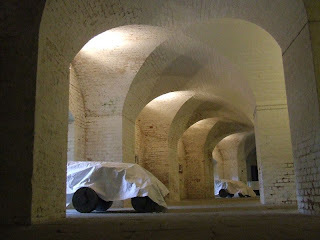 There is a long row of casemates on the parade ground, above which are Haxo Casemates for the guns. 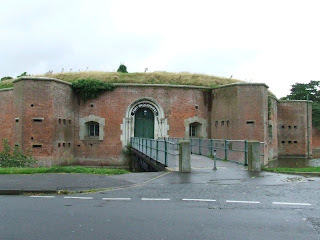 The fort is now used by English Heritage for storage, and although in a good state of preservation, unfortunatly not often open to the public. 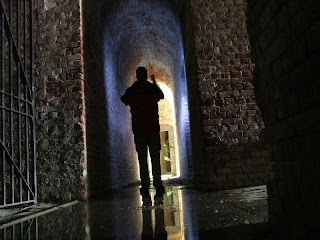 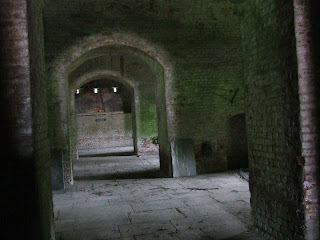 This was a private tour, thanks to English Heritage. 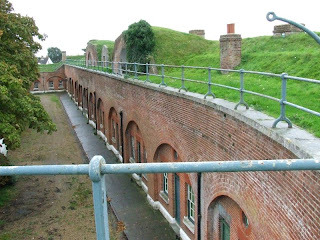 In September 1955, as a regular in the Royal Air Force, I was posted to Fort Brockhurst and was billetted there until moving to HMS Seahawk near Helston in Cornwall. 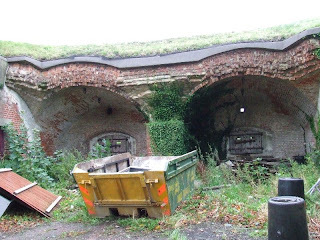 Does anyone know about the tunnels that lead from Fort Brockhurst to somewhere near St Vincent in Forton road? 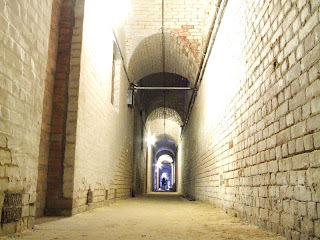 There is no tunnels - would be impossible to build due to the type of ground.